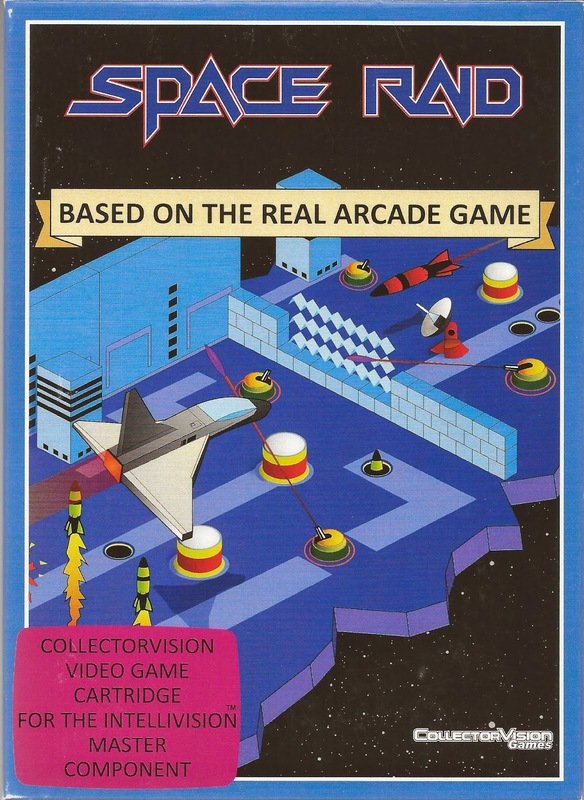 says “Based on the real arcade game.” If you don’t remember Space Raid at your local pizza parlor or mall hangout, you’re not alone. There never was such a thing. Universal released a shooter called Space Raider in 1982, but that was a different game. Space Raid is actually a clone of Zaxxon, the Sega/Gremlin isometric shooter that blew joystick jockeys away with its futuristic graphics and wildly challenging gameplay. Space Raid is a stunning 3-D space game that takes you across alien asteroid fortresses on a special mission. The evil Robot and its fierce armies have conquered an asteroid belt. You must stop them before they enslave the entire galaxy! Fly through space and destroy enemy spaceships. Pass the barrier on the first asteroid, then dive to the enemy surface. Evade fire from gun turrets and mobots as you search for the Robot Warrior. Once you successfully cross the asteroid fortress, you must fly through deep space again. Avoid the enemy squadron combing the galaxy in search of your fighter! Can you defeat the evil Robot? 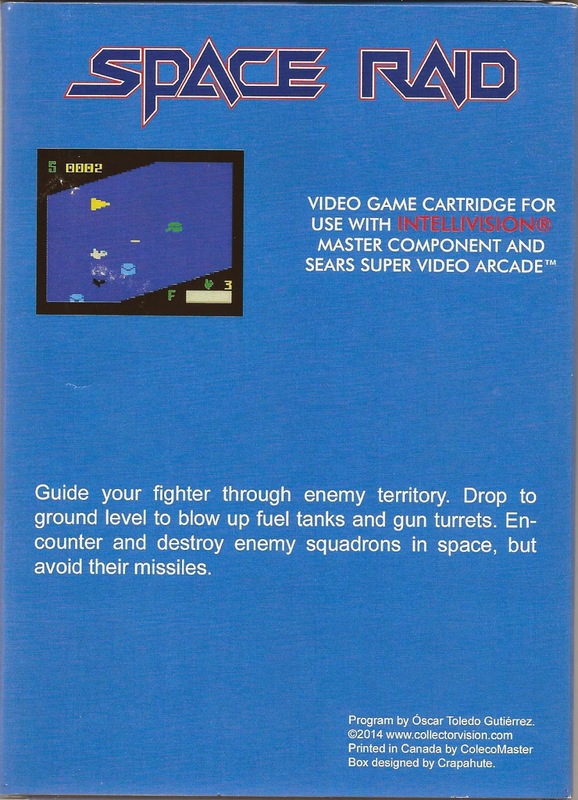 As you battle through space, you’ll need to make sure and destroy fuel tanks positioned along the fortress floors in order to keep your fuel gauge from going empty, a concept Zaxxon borrowed from such shooters as River Raid and Scramble. You’ll also need to dodge energy fields and fly over walls, which can be tricky. 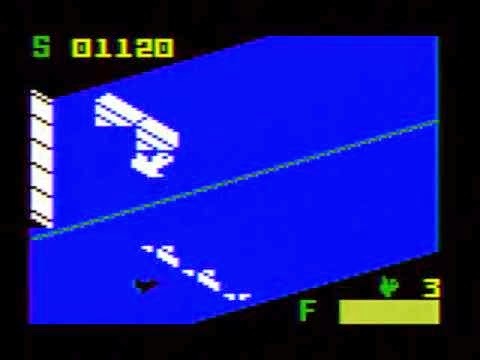 As in Zaxxon, it’s sometimes a little difficult to tell where your ship is in relationship to the enemies (especially in the blackness of outer space), but an altimeter along the left side of the screen does help in this regard. 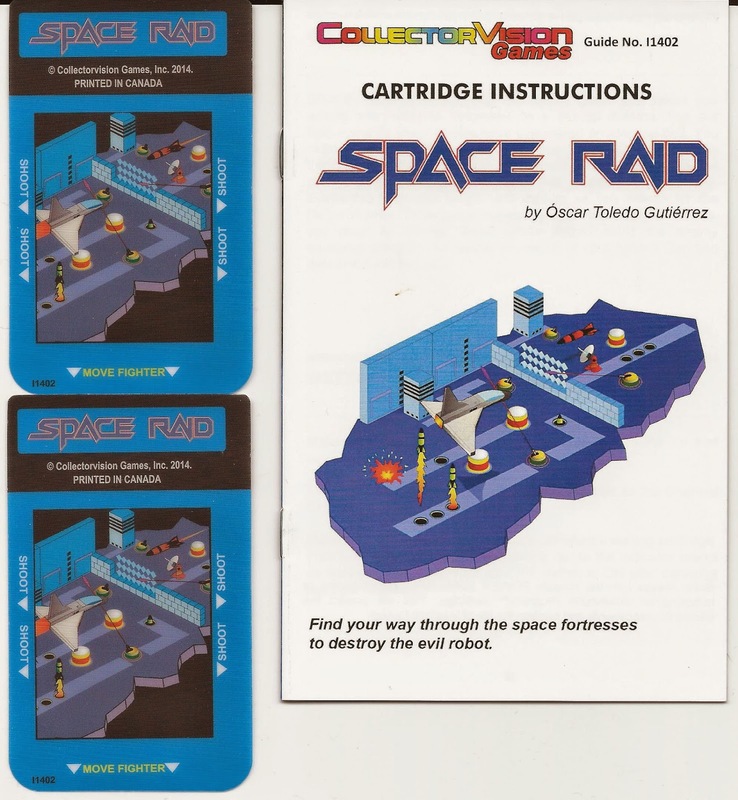 Programmed by Óscar Toledo Gutiérrez (Toledo Nanochess), Space Raid comes packaged in a nifty, Coleco-style box with matching manual and two keypad overlays. When you boot up the game, you’ll be treated to a large flashing title screen. Unfortunately, there are no difficulty levels to choose from, and there’s no pause button. So, should you purchase Space Raid? If you love the Intellivision, love cartridges, and want to fill a gap in your collection—that of a quality Zaxxon port—go for it, you won’t be disappointed. However, if you are perfectly content playing Zaxxon a number of other ways, such as unlocking the arcade port on Sonic’s Ultimate Genesis Collection for the PlayStation 3 or Xbox 360, you might want to think twice about it. Either way, Space Raid proves that the Zaxxon formula is still fun after all these years. It’s also one example (among many) of passionate programmers keeping the classic consoles alive by producing fun, high quality games in slick, collectible packaging. It's a fun (if sometimes expensive) time to be a retro gamer.